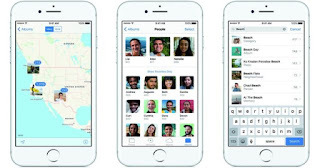 Home News Apple Photos vs. Google Photos, which one is better? Apple Photos vs. Google Photos, which one is better? Find a service in the cloud that suits our needs should not be a very difficult job, the problem is when the two alternatives we have are incredibly good. 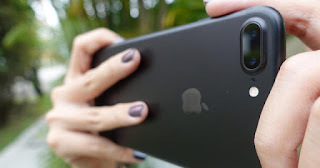 If you do not decide between using Google Photos or Apple Photos, today we are going to leave you an article comparing them to the bottom. Both services are quite similar and quite good, but there are certain sections in which one could be quite better than the other. Keep reading to know which one to choose! In this section you do not have to be too smart to know who is the clear winner. 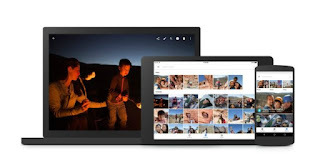 Here Google Photos takes the cake , and that is that we can find it on virtually any platform, while Apple Photos is limited only to Apple products. 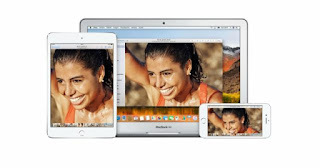 The Apple Photos service can be activated on Mac, iOS and Windows , the latter being a somewhat poor version of the application. Meanwhile, Google Photos is on Mac, Windows, Android and iOS devices. Therefore, although Apple Photos is more intuitive to use, Google gains in extension . In this section, maybe you could find that Apple Photos is much more intuitive to use , especially if you already use an iPhone or an Apple ecosystem device. However, using Google Photos is a bit simpler than the Cupertino service, but not too much either. Both services are able to create albums using the metadata of the photos, such as their location, the moment, or even if it is a selfie or a normal photo. 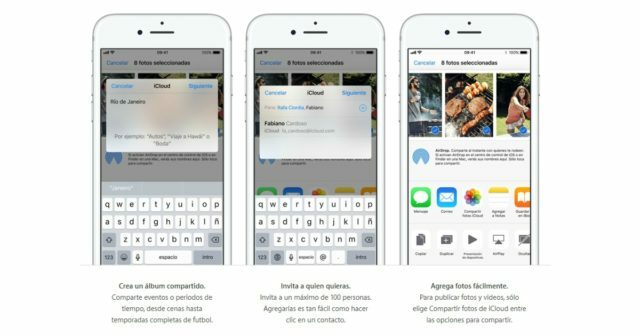 Sharing these albums is very easy in both applications, offering us the ability to add users to them if that is what we want. But if something should be given to Google Photos, is that its compatibility with Android makes it much easier to see images on these devices. Here we could not find any clear winner, the result will depend on who you feel most comfortable with when viewing and sharing images. In the edition we have to declare Apple Pictures as the clear winner before we start talking more in depth. While both services offer us many options and features when retouching the images stored in them, Apple Photos gives us tools capable of giving much more professional and aesthetic results. Even in the mobile application, which brings more basic functions in terms of editing, we can edit a photo much easier and with better results than with Google Photos. Although, in effect, we can not edit with all the tools that macOS offers , we can obtain great results with it. For a long time we can enjoy smart searches in Google Photos, but with the arrival of iOS 10, Apple introduced this same feature in their Photos application. Since then, Cupertino people use artificial intelligence to tag and categorize photos , so you can find what you need when you need it. However, it would be unfair to say that Apple does better than Google, when it is just the opposite. Google is a system based strictly on the cloud, which helps you improve your AI and categorize the images with better results, in addition, it takes more time doing it. Both have the function of labeling faces , so we can find our friends and family in a matter of seconds. As for security, Apple Photos is clearly superior . And, while in Google Photos all this information is stored on their servers, Apple Photos is saved on the device. This improves security, but also prevents a bit the advance of artificial intelligence. One of the most positive things we can find in Google Photos is that it allows us to store infinite images , as long as we upload them to a high quality and not in its full quality (16MP maximum for photos, and 1080p maximum for videos). On the other hand, it offers us at first 15GB of storage , which we can then increase to a minimum of 100GB for $ 1.99. On the other side we have Apple Photos, which gives us only 5GB of free storage , which will be filled in a matter of months . We can increase the plan to 50GB for only $ 0.99. While the maximum storage we can buy in Apple Photos is 1TB, at $ 9.99 per month, in Google Photos we can increase the plan to 30TB , a real barbarity and that gives us a total of $ 299.99 per month. But if you are not a user too demanding and you do not care if the photo is saved in full or high quality, we can only say that Google is free and unlimited , and it is also much more flexible than Apple Photos. If you have reached this point we assume that you must be willing to know which service to stay with. If, after all, you still have a little doubt, we'll help you clear them . Both services are excellent, and although one may exceed the other in certain sections, the experience of use will not be so radically different on a day-to-day basis either. 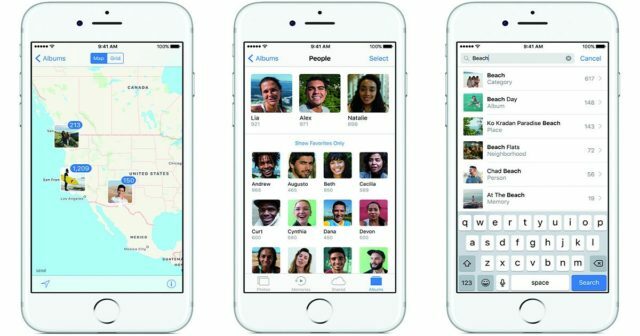 If you have an iPhone and use the entire Apple ecosystem, we recommend you to keep Apple Photos. 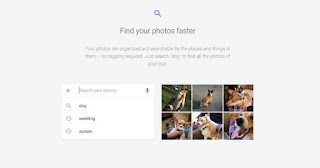 If on the other hand most of your devices have nothing to do with the apple, you could easily opt for Google Photos . If all your devices are from Apple but you do not feel like paying to upload images to the cloud, then we urge you to use the Google service . The good thing about living in the 21st century is that, although we use separate services, in a matter of seconds we can transfer data and images from Google Photos to Apple Photos, so do not worry, the change is not as radical as they would have you believe . Which service do you like the most? Leave us your answer in the comments!